Hibernian stretched their lead at the summit of the Championship to nine points - and 10 over opponents Dundee United - on a potentially pivotal night in the title race with a 1-0 win at Tannadice. Jason Cummings' emphatic strike seven minutes from the break, which made him the first Hibs player to score 20 or more in three consecutive seasons since the great Joe Baker in the 1950s, won it for the league leaders. Lewis Toshney's red card with 31 minutes gone left United with a mountain to climb and going behind minutes later gave them an even bigger task. But two bookings in the space of just three minutes for goal-scorer Cummings, one for throwing the ball away and the second for handling the ball into the net, made it a more tense climax for the visitors than it should have been. 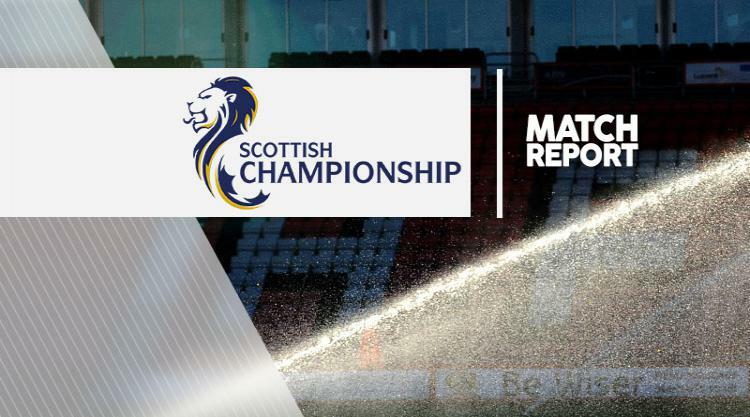 With head coach Neil Lennon sent to the stand in the 90th minute, they held on, however, for what could prove to be a crucial three points as they stretched their lead over Falkirk in second to nine points. It was a nervy start from both sides, with Hibs putting themselves under pressure by conceding a corner within the first two minutes that United failed to capitalise on. Moments later, Easter Road full-back Lewis Stevenson fizzed a drive wide from 30 yards out and then John McGinn flashed a snap volley into the side netting. Some indecisive defending from the home side almost allowed the alert pair of Grant Holt and Cummings in on separate occasions but neither keeper was too troubled in the opening quarter. United were granted an excellent opportunity in the 25th minute when referee Don Robertson penalised David Gray on the edge of the box but the Hibs skipper blocked Alex Nicholls' effort from the edge of the box. The home side then suffered a massive blow in the 32nd minute when Toshney was sent off. The midfielder, already booked for a barge on Andrew Shinnie, was deemed guilty of a lunge on the same player. The loss of their defensive pivot put United on the back foot and seven minutes later Hibs were ahead. Shinnie was the creator with a superb defence-splitting ball that sent Cummings through on goal and the striker hammered his finish beyond Cammy Bell's despairing dive. A goal up and with a man advantage, Hibs were always going to be the dominant force after the break. But, whilst they enjoyed long spells of possession, they struggled to find the second goal they craved. They should have had it in the 66th minute but Martin Boyle scooped over the bar from 12 yards out from Gray's low cross. Shinnie then saw his net-bound shot blocked by Frank van der Struijk before Cummings' red gave United heart in the closing stages. But the Hibs defence held firm amidst 12 yellow cards.